The Comfort Inn Chandler - Phoenix South near Arizona State University in Chandler, AZ will get you rested and ready for anything. 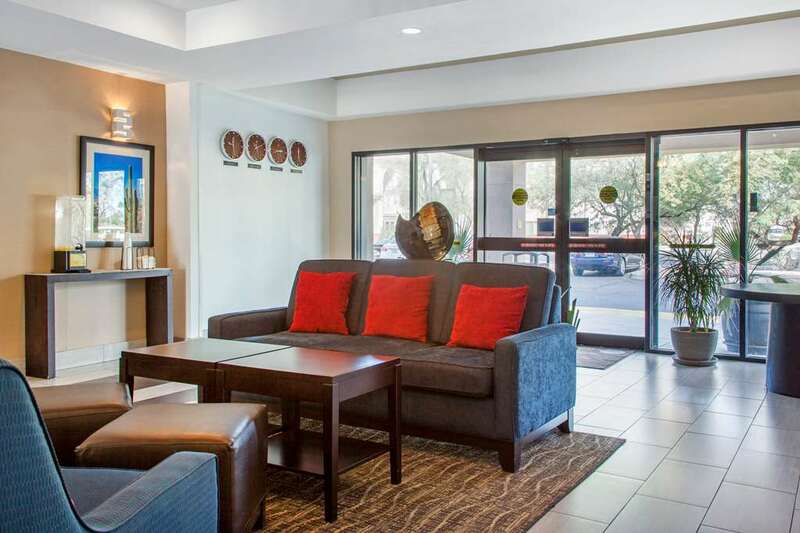 This pet-friendly, smoke-free hotel is located near destinations like Phoenix Sky Harbor International Airport, Tempe Diablo Stadium, Tempe Arts Center, Chandler Fashion Center and Wild Horse Motorsports Park. Take advantage of amenities like free hot breakfast, free WiFi, fitness center and outdoor pool. Rooms include a flat-screen TV, refrigerator, coffee maker, hair dryer, iron and ironing board. Also, earn rewards including free nights and gift cards with our Choice Privileges Rewards program. This hotel accepts Dogs Only, 20.00 USD each pet per night, up to 2 pets may stay in each room. A 2.50 USD Energy Surcharge will be added per day, per room.